The speaker series has ended, but for a limited time you can get VIP full access to this series for just $197 $27! A value of over $1000 in coaching and training! BONUS! You will also receive a Breakthrough 30 minute Coaching Session complimentary with your purchase! Kim Jones has brought together nearly 30 successful entrepreneurs and business experts to share their Secrets to Total Life Success with YOU! Here’s why you don’t want to miss this speaker series! These videos will make a HUGE difference for YOU! You will get access to top-secret powerful tools so you can be wealthy, happy and create a much bigger life for yourself! The most dynamic interviews will arrive directly to YOU to unveil secrets and tips that you can implement immediately to create YOUR OWN SUCCESS PLAN! You’ll be guided how to create success across all areas of your life and business!! Networking, sales, client attraction and much more! It’s about creating total success in all areas of your life! Kim Jones is a business and life strategist and coach who helps small business owners and entrepreneurs create a life and business they love! 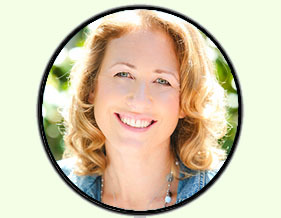 Her work empowers clients to reach success on their own terms and includes creating time freedom, increased income and a lifestyle that fits for their unique situation. She is also a loving mother to 3 children (ages 9, 12 and 13) living in San Diego and enjoys spending time actively outdoors. She loves the freedom and flexibility of having her own business and gets excited helping clients discover their paths to success. Kim holds a Masters degree in Clinical Psychology and has been a licensed marriage and family therapist for the past 18 years bringing top relationship skills and training into her coaching work to help clients improve communication and increase leadership and teamwork effectiveness.